Biking and wine tasting may not seem like natural partners. But if you enjoy both, mixing the two can be a highlight of your next French journey. One of the best places to swirl, sip, and cycle is Burgundy, which is famous for peaceful lanes that lace together cute towns and venerable vineyards. Start in Beaune, Burgundy's thriving and popular wine capital, which lies about 200 miles southeast of Paris. Much of Beaune's medieval wealth came from hardworking monks, who produced excellent wine and cheese while nearby dukes amassed power. Given the climate and soil of the region, the monks determined that pinot noir and chardonnay grapes grew best in Burgundy — a lesson that is followed to the letter by winemakers today. It seems as if every other shop here sells wine, and some offer informal and informative tastings. You can taste directly at the domaine (winery) or at a caveau representing several wineries. In Beaune's town center, stop by the chamber of commerce to test your senses. A delightful exhibit here (Cave aux Arômes) has glass cases — filled with fruits, herbs, nuts, and spices — that are designed to give visitors a chance to smell and appreciate the complex aromas that sculpt fine wines. From here, you're just minutes by rental bike from the vineyards. Some of France's most reputed wineries span the peaceful 18-mile vineyard route south of Beaune, where you'll find the rolling hills of the Côte d'Or ("Gold Coast"). Drivers may have more flexibility to access each winery, but biking through waves of immaculate vineyards and picturesque villages is more idyllic. 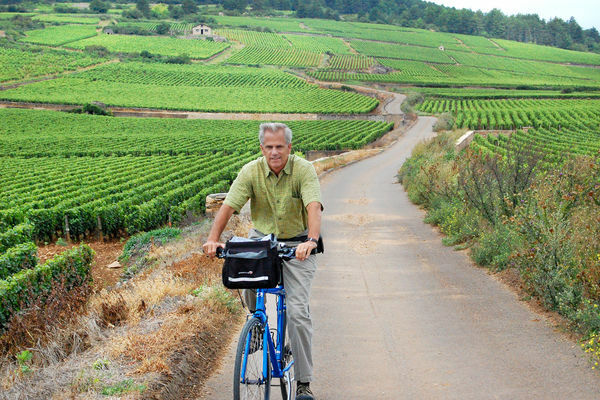 I like to cycle from domaine to domaine, sampling wines as I go. When I make my wine pilgrimage, I look for smaller, lesser-known wineries with the most passionate and personable vendors. Signs make it clear where visitors are welcome to drop in, enjoy a little tasting, and pick up a bottle or two. Although you can drop in unannounced at most wineries ("comme un cheveu sur la soupe" — "like a hair on the soup"), you'll get better service by calling ahead and letting them know you're coming. With about 4,200 wineries in 44 villages, Burgundy's road maps read like fine-wine lists. Location is everything, and winery names take a back seat to the place where the grape is grown. Every village produces its own distinctive wine, from Chablis to Meursault to Chassagne-Montrachet. 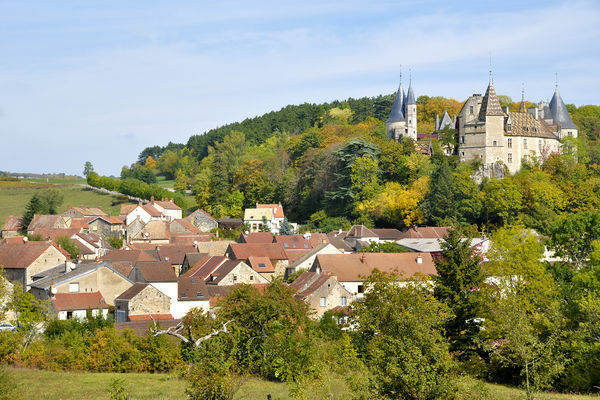 Just a few miles south of Beaune, the villages of Pommard and Meursault offer clusters of respectable vineyards beyond their namesake châteaux. Here, I like to sample some of the world's best whites at the convivial Caveau de Puligny-Montrachet and explore striking 11th-century, barrel-lined cellars at the elegant Château de Chassagne-Montrachet. My Burgundian mentors remind me that tasting and drinking are two very different things: You drink wine with food, but you taste the wine "naked." In my tasting experience, the vintner pours a small amount of wine into a glass. Before tasting, I'm told to raise my glass to the light and admire the wine's rich color. I stick my nose in to get a sense of its bouquet, then aerate by swirling to release the undertones. I sniff again and appreciate the contrast. And then I take a sip and chew the wine to enjoy every note. Finally, the vintner instructs me to spit it out into a receptacle, because "the stomach does not taste." If you're envisioning a progressively more wobbly pedal, remember that the most serious wine tasters make a point to use the spittoon so they can taste all day without their judgment becoming clouded. You can do the same to ensure you stay safely on the road. While it can be an uphill challenge, I like to end my countryside tour at the romantic 13th-century Château de la Rochepot. Splendid both inside and out, this pint-sized Burgundian castle is neither a purely defensive structure, nor a palace — it's a bit of both, with a fortified exterior and surprisingly cushy interior (which is now closed to visitors for the forseeable future). Walking these castle grounds, I'm transported to an era of dukes, monks, and fine wines. After a pleasant pedal back to my home base of Beaune, I'm ready for a serene evening. I stroll the delicately lit streets lassoed within the town's medieval walls and reflect on the day's drinkable delights. 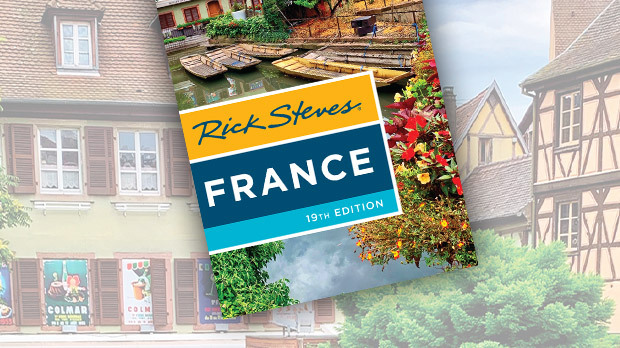 In the heart of France, the wine is good, the landscapes are luscious, and life is leisurely.